Spring brings with it one of the best times in the year to head out and capture some beautiful, nature-rich landscape photographs. Lucky for us, in Canada we’re blessed from east coast to west coast with loads of picture-perfect locations to shoot! Planning a photography getaway with just you and your camera? Our LDExperts in the Photolab are sharing their must-visit places to capture stunning shots of Canada’s natural beauty this spring. Planning a road trip this spring? The 740 km bucket list journey from Dawson City, Yukon to Inuvik, Northwest Territories offers incredible scenery, wide open spaces and remote beauty. It provides the perfect opportunity to cover all of Northern Canada in a single trip, and there are several picturesque locations to snap beautiful landscape shots. The best part of the journey? It even traverses the Arctic Circle! 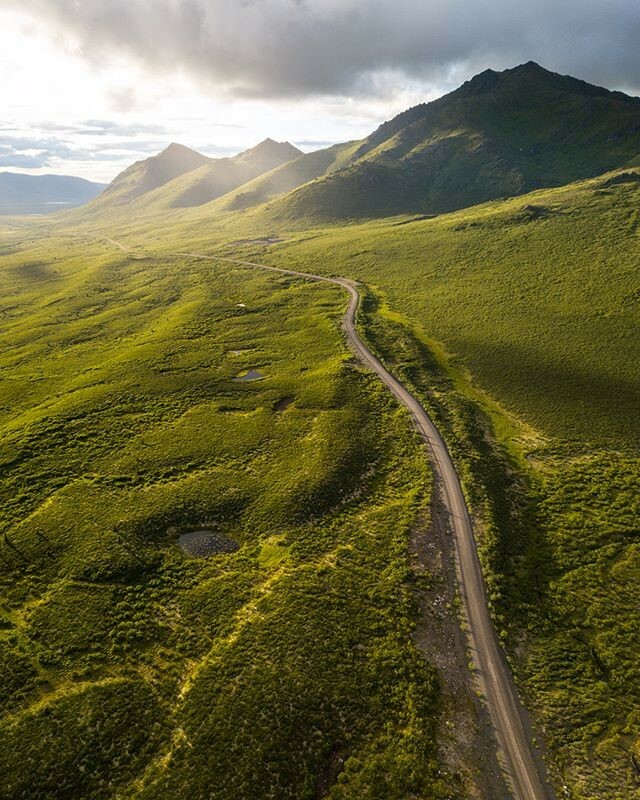 For aerial shots that capture the pure vastness of the terrain, consider bringing along a drone to take some epic shots from above. For a diverse range of landscapes, look no further than Gros Morne National Park. A UNESCO World Heritage Site covering 1,805 square kilometres, it offers views like no other. Soaring fjords and moody mountains tower above a diverse panorama of beaches and bogs, forests and barren cliffs. If you’re lucky, you’ll even get a chance to capture a shot of some local nature, like a moose! This year-round 4.3 km scenic road offers wildlife viewing opportunities and breathtaking scenery. 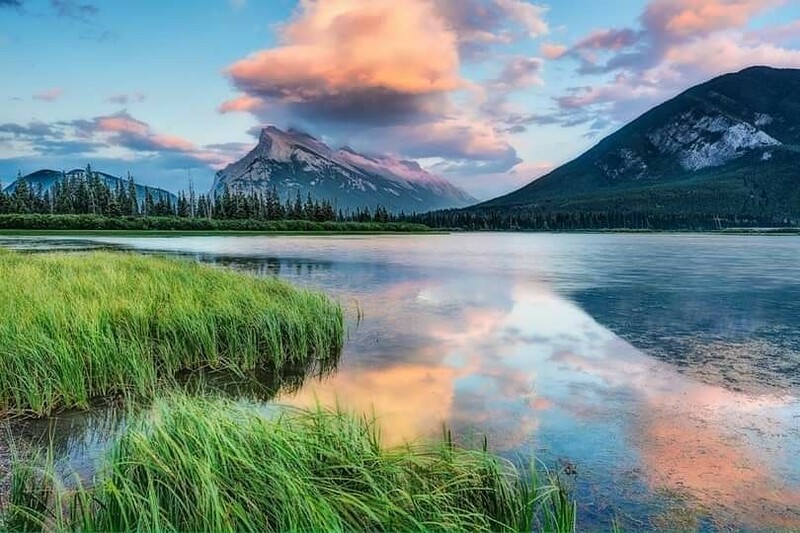 With Mount Rundle creating the perfect backdrop, it’s no surprise this is a favorite destination among photographers. Spring brings the added beauty of snow-capped mountains and clear blue lakes against a beautiful sunset. Rising from the sea and clinging to mountains, the Cabot Trail will take you through majestic ocean vistas and quiet fishing villages. It is one of the world’s most scenic drives and if you’re looking for something more adventurous, it offers hikers a great experience with a rewarding view. A trip around the Cabot Trail is not complete without seeing the highlands from the water. We guarantee you’ll be stopping every 5 minutes to snap a photograph along this route! Looking for a destination that offers great landscapes for photography and doubles as a beach vacation? Check out Grand Beach, Manitoba! Resting along the eastern shore of Lake Winnipeg, Grand Beach is a freshwater beach with white sand backed by sand dunes that are 30 ft high. It is truly an undiscovered treasure in southern Manitoba. With a long maritime history, Fogo Island is the largest offshore island of Newfoundland and Labrador. With bright-colored houses, sea-cliff footpaths, and a lush forest set against a striking coastline, it provides the perfect landscape for picturesque photographs. Surrounded on three sides by saltwater and emerald islands, Tofino is a great spot to capture the West Coast in the spring. Perfect for a weekend getaway, Tofino offers photographers an opportunity to capture sandy beaches, vivid sunsets and beautiful waves. The spring season also marks the return of the whale migration with Pacific Gray Whales and possibly Humpback Whales. If you’re looking to capture beautiful spring cherry blossoms, Victoria is the perfect destination. One of the most well-known places to photograph spring blossoms is along View Street in the heart of Downtown Victoria. North of Victoria, The Butchart Gardens erupts into a sea of vibrant colour each spring and offers tulip displays and fragrant blossoms. For photographers looking to capture the floral beauty of spring, Victoria is definitely a must-visit. Don’t leave those gorgeous shots lying on your camera or laptop! At the London Drugs Photolab, we’ve got a wide range of printing and enlargement options. Or create a photo book to showcase your best spring photography. Our aluminum metal panels are also great for making the vibrant colors in your spring shots really pop. Unsure of what the best option is for your pics? Head to your nearest London Drugs store and speak to one of our LDExperts in the photolab!